Multi Platinumaward-winning recording artist/songwriter David Pomeranz performs for OnThis Day: A Special Valentine Concert on February 14 at the Plenary Hall ofthe Philippine International Convention Center. Proceeds of the concert willbenefit the Philippine National Red Cross - Pasay City chapter. 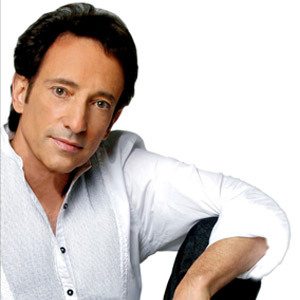 World-renowned singer/composer David Pomeranz has alwaysconsidered the Philippines his second home. He has had many wonderful memoriesof the Philippines and he has admitted that his first visit to the countrywas—to quote a cliché—"Love at first sight." He even admits that he has visitedthe country so many times that people here actually think he has alreadysettled down here and one rumor even says that he actually owns an islandsomewhere in the country. David, however, just laughs off these rumors. David isactually based in Tampa, Florida, in the United States with his wife Kelly andyoung son Nikki. But David loves going back to the Philippines and enjoysworking here because of the warm reception that Filipinos have accorded him.And it is not surprising that this coming Valentine's Day he will once againenthrall Filipinos with his music as he performs in a concert titled On ThisDay: A Special Valentine Concert on February 14 (Thursday) 8 pm at ThePlenary Hall of the PICC. Known for hits such as "Born For You," "Got To Believe inMagic," "King & Queen of Hearts" "Old Songs" "Until I Fall in Love Again,""Undying Admiration" "Trying to Get that Feeling Again" "Daybreak," "HoldTight" "Favorite Story," "On This Day" and so much more, David will be takinghis audience on a musical journey on the different phases and facets oflove. To date, David's recording andsongwriting projects have earned him 22 platinum and 18 gold albums—sellingover 40 millions records internationally. The recordingartist/songwriter hasrecorded eight solo albums including his just released 2007 album, Hold OnTight (Becca/Universal). His groundbreaking album, Born For You-His Bestand More (MCA/Universal), is a collection of his love songs, past andpresent. Born For You has become a phenomenonal hit throughout Asiaselling over 500,000 units in the Philippines alone.